The UI Ethics Office reviewed possible inaccuracies in student profile data concerning the incoming College of Law class of 2014. UPDATE: Investigation found dean manipulated the class profile in six of the last seven years. The University of Illinois' law school admissions dean resigned after a school investigation found he single-handedly manipulated the class profile in six of the last seven years, university officials announced Monday. The university will end up spending about $1 million on a two-month investigation following the revelation that the College of Law manipulated the median grades and entrance-test scores of its students to make the classes appear more academically accomplished than they were. "It was critical that we perform an exhaustive, independent review to verify all the data and fully understand what happened and how so we can prevent it from happening again," U. of I. spokesman Thomas Hardy said in response to a question about the cost. "It's an important investment in our future." An ongoing investigation into the use of inflated grades and entrance-exam scores in University of Illinois law school marketing material found inaccurate data was posted online for the four most recent classes, university officials said Wednesday. For three of those classes, the inaccurate information was also forwarded to the American Bar Association and to ranking organizations, such as the influential U.S. News & World Report, university spokesman Tom Hardy said. The snapshot data of law school students is often used to attract future students, among other things. The University of Illinois has released corrected grade and test data for its incoming law class that is lower than the statistics previously reported on the school’s website and promotional materials. The median Law School Admission Test score for the class of 2014 is 163, not the 168 originally touted, report the Champaign News-Gazette, the Chicago Tribune and the National Law Journal. The students had a median undergraduate grade point average of 3.7, not the 3.81 previously reported. 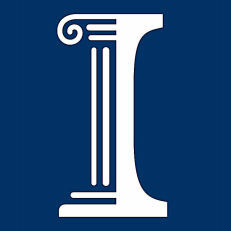 9/11/11 - URBANA — An assistant dean at the University of Illinois College of Law has been placed on administrative leave after the university received complaints that grade and standardized test data for the incoming class had been inflated on university literature, officials said Sunday. The data — grade point averages and median Law School Admissions Test, or LSAT, scores — had been exaggerated on the university’s website and promotional publications for the class of 2014, according to a news release Sunday. The university’s ethics office received a warning last month. The reported inaccuracies were discovered Friday, and alumni were informed over the weekend.